There has been a lot of skepticism on the ability of the BorgWarner EFR IWG(Internal Waste-Gate) turbocharger’s ability to keep the high flowing, fire breathing rotary engine under control. The valve less rotary engine’s exhaust ports, 360 degree combustion cycle, and heavy overlap duration produce a lot more exhaust than your typical piston engine of the same displacement. Generally one uses a turbocharger that would fit well on a small block v8 for the 1300cc 2 rotor engine. The most typical of turbochargers is a 74mm P trim turbine wheel in a .84, or 1.0 turbine a/r matched to a 60 to 67mm compressor. This size of a turbo is horrendously ” laggy ” on a 4 or 6 cylinder piston counterpart. 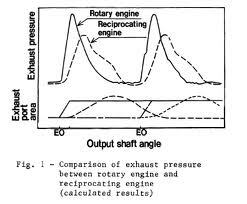 Since exhaust flow is high, waste-Gate flow is pretty critical on a street driven, or relatively low boost AutoX, Drift, or Road Course driven rotary. 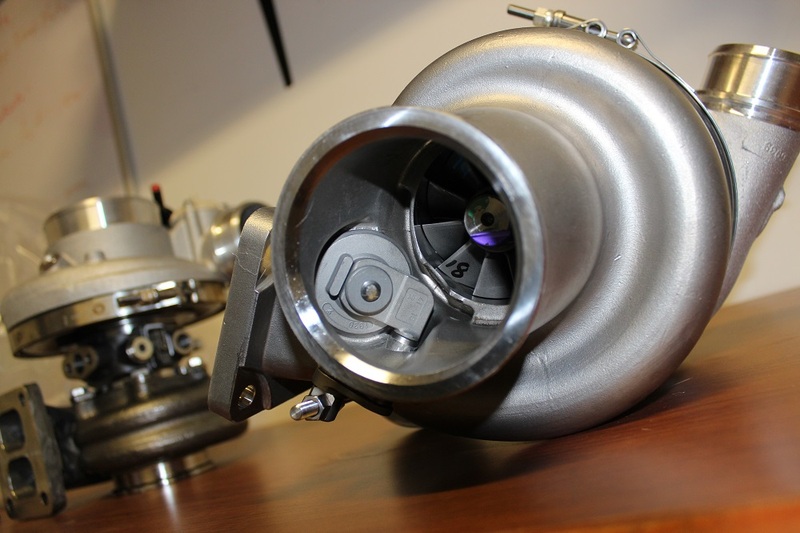 The BorgWarner EFR IWG turbos have come a LONG way since your 1990’s internal waste-gate turbine housings. Most of those units had a small valve with a single waste-gate runner. Furthermore the waste-gate runner’s were at a direct 90 degree angle to the path of exhaust flow, and were designed for low flow diesel applications. Depending upon your application, turbo sizing, and desired boost pressures, this could result in improper boost control. There are only two BorgWarner EFRs that use IWG housings that are properly sized for a 2 rotor engine; the 7670 T4 .92 & 8374 T4 .92. Both use the larger 42mm Waste-Gate Valve. Both units also use an offset turbine discharge that caters towards waste-gate flow. Surprisingly BorgWarner also claims this has no adverse affects on turbine flow using this offset discharge. Unlike the internal waste-gate housings of the early 90s, these EFR IWG housings have fully divided waste-gate runners that uses a single 42mm valve. The waste-gate runners are also in the direct path of flow. This gives you the benefit of a twin-scroll turbo system while being able to maintain high waste-gate flow. This should be more than enough waste-gate to control most 2 rotor applications( 7 to 30psi). If you’re interested in more information on boost control; check out TurboSmart’s latest blog on Boost Control. Well now maybe you are convinced that the internal waste-gate housings will work, and provide the same benefits of an external waste-gate twin-scroll turbo system. However you are asking the question, why would one want to run an IWG turbo? The answer is two fold; first off it will cut the costs of the turbo system down. There is no longer the need for a twin wastegates, twin dump tubes, or if you want to stay quite twin reroutes. 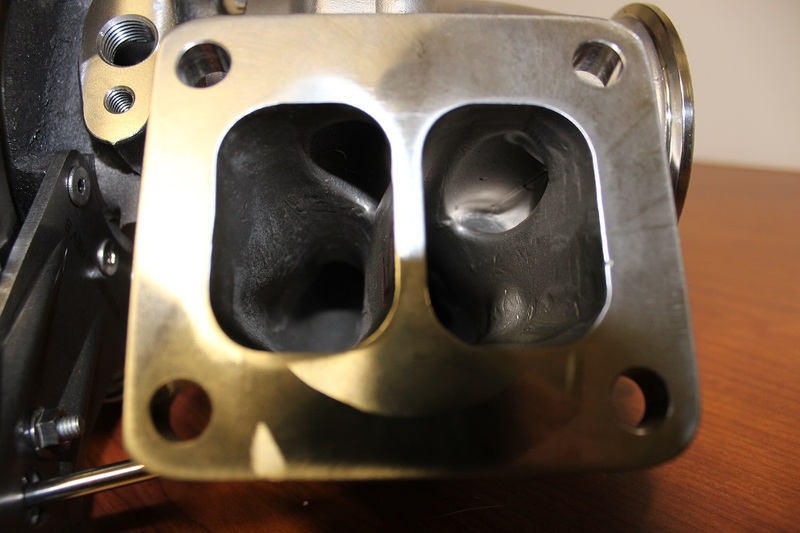 All of this adds substantial cost, especially twin wastegates rerouted into the downpipe. Keep in mind that all EFR turbos also have a built in recirc blow off valve, and 3 port boost control solenoid, further lower the cost of your complete turbo system. More importantly you don’t have to worry about common wastegate valve diaphragm failure. You also don’t have to worry about melting your wastegate lines that are running awfully close to you turbo manifold. These two are extremely common on road course raced rotaries that have higher than normal EGTs compared to their piston counterparts. We all know what happens when either of these parts fail; broken apex seals. In the event you are trying to max out your EFR and run it near its maximum flow requirements then you will want to run the larger 1.05 free float turbine housing with twin external wastegates. Turblown Engineering offers the best solution for your 13B 2 rotor. Their 13B 2 Rotor Rx-7 & Rx-8 Turbo manifolds use tear dropped waste-gate runners in proper wastegate position for maximum flow. 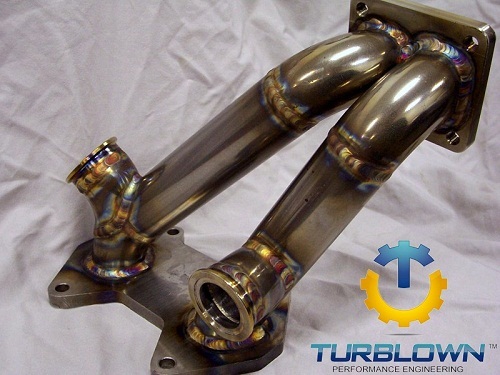 When used with TurboSmart Wastegates you will get rock solid boost control. … just google it? It’s not hard to find out the RRP of an EFR with an internal gate.